Get clean with no residue, no sulfates and no fuss. Using Clean Face & Body Wash is like cleansing your skin with fluffy air. It feels like nothing in your hands, yet gently cleans dirty skin and rinses without a trace. All botanical surfactants are safe for you and the environment. Resveratrol acts as a potent antioxidant preparing your face for the next steps in your skincare routine. 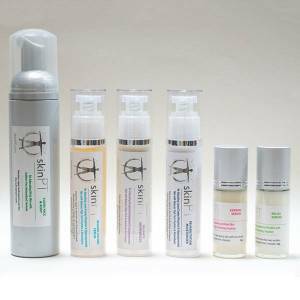 Clean Face & Body Wash is the beginning of your skinPT 4-Step Home Program. This sulfate-free, antioxidant formula prepares your skin for the rest of your skincare routine. The ingredients are safe and gentle. 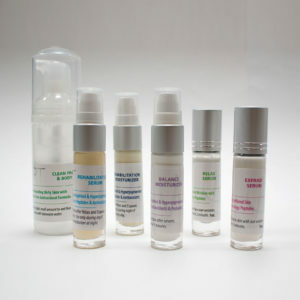 The formula is also free of parabens, fragrances, dyes and harsh chemicals. Distilled Water, Propanediol, Xanthan Gum, Caprylyl Glycol, Hydrolyzed Wheat Protein, Hydrolyzed Soy Protein, Pectin, Proline, Serine, Arginine, Glucose, Butylene Glycol, Chondrus Crispus (Carrageenan) Extract, Ethylhexylglycerin, Sodium Cocoyl Glycinate, Disodium Lauroamphoacetate, Cocamidopropyl Hydroxysultaine, Lauric Acid, Gluconolactone, Sodium Benzoate, Citric Acid. I love this light, foamy cleanser! I actually use it “dry” (I don’t wet my face first) and it leaves my face feeling clean but not tight. The price is right too! I use this foamy cleanser everyday. It is light, easy to rinse off. 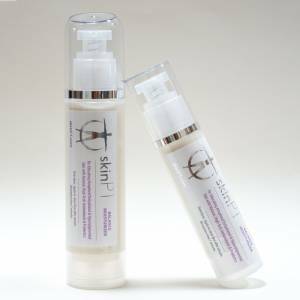 My skin feels clean and ready for the SkinPT serum application. Jade’s cleanser is exactly as described…light, fluffy, and effective! I have a travel size air pump she gave me as well so it’s great to travel with! I am a big fan of this cleanser. It takes off even the most difficult sunscreen and yet some how its still gentle! It’s an awesome cleanser – get it! I have been using these products for about 2 months now and have tried everything under the sun. These have shown to be superior to anything I have tried. The cleanser removes makeup without need for additional removers. Just hold on skin for a few seconds and follow with normal cleansing style… rinse and its gone. Highly recommend this line! My skin is very sensitive and I am partial to foaming cleanser. This is amazing!! 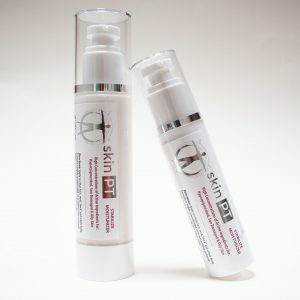 I noticed a difference in my skin within a few days.It was softer and brighter….nice and smooth. I might add that my mother, age 79 was on bedrest and we used this on her face and entire body for bathing.We were able to keep her nice and clean, with beautiful skin. What a gift to have a product clean so well and rinse so easily. I can’t say enough wonderful things. Thank you for this feedback. It means the world for me that the love and care I put into each product is serving a need. Enjoy in great good health!